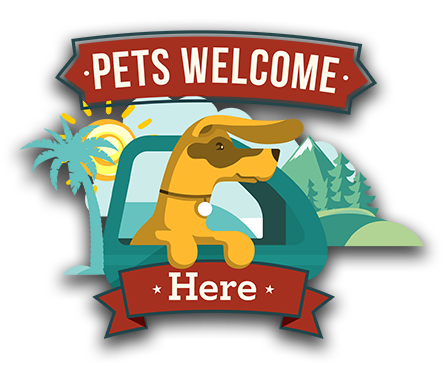 St. Augustine is well-known as a walkable city, and now it’s getting extra recognition for being a good place for pets to pad around as well. Executive producer Heather Eisenstadt, with Class of 64 Productions, said St. Augustine was picked because of its reputation as a place where visitors are welcome to bring their dogs. Also picked were Destin, Winter Park and Key West. “[We’re] going to all the most incredible and dog-friendly destinations you can imagine and seeing life from a dog’s point of view,” Eisenstadt said. “You [St. Augustine] are so incredibly pet-friendly. You allow dogs just about anywhere, and that’s so cool. They can enjoy St. Augustine along with their parents. Rick Hensler with the local visitors and convention bureau helped the crew choose attractions that are known to accept visitors with pets. Among the places visited were the Lightner Museum courtyard by the Pedro Menendez statue, Flagler College courtyard, Plaza de la Constitucion, Bull & Crown Publick House, St. Francis Inn, Fountain of Youth, St. Augustine Lighthouse and Maritime Museum, Marineland and others. They also visited Dogtown USA, an upscale dog kennel on U.S.
1. St. Augustine has never really tried to market itself as a pet-friendly place for tourists, Hensler said. That’s just what St. Augustine is. Hensler said the television program, which will be syndicated and run on a major network some time after mid-May, will be a nice way to show another attribute of the area. 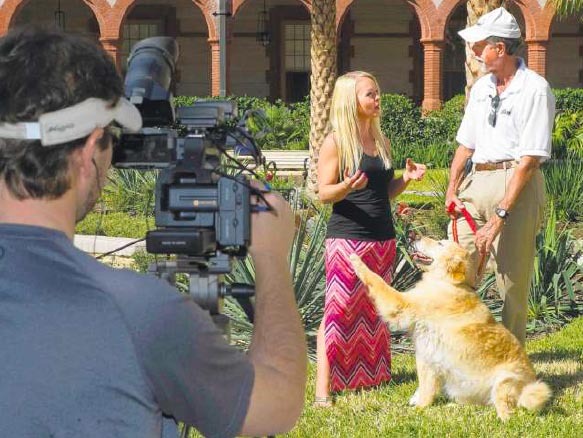 Former St. Augustine Mayor George Gardner saw his golden retriever rescue dog Lizzie receive a lot of attention from “Pets Welcome Here!” host Christine van Blokland. One of the more interesting pet-friendly activities she found was a free tour from Tour St. Augustine that’s offered once a month for people who want to bring their dogs. Tour guide Marc Rittman gave a portion of the tour Tuesday morning for the “Pets Welcome Here!” crew and the assembled pooches. He said the fact that so many restaurants and attractions allow pets makes it easy to take dog lovers all over town.